One of our principal objectives in transforming the Friends organisation into a Registered Charity (FESPA) was to focus our energies on supporting not only our summer theatres but also the future health of the performing arts scene in the East Suffolk area. That means each year investing some of our hard-won funds into tomorrow’s talent, in the form of student Bursaries. The Bursaries are designed to provide financial support and encouragement to deserving students of the performing arts who either live in East Suffolk or have strong local connections and who have already obtained a place at a recognised college. Each of the students is required to submit an application form and CV and specifically to explain how the bursary would be of help to them. 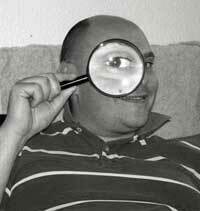 References also have to be supplied. If you, or someone you know, hopes to attend a recognised performing arts course in the autumn and needs financial support,email David Bunkell for an application pack. Closing date is the end of July. Olivia da Costa gained Grade 8 distinction in both Cello and piano and is described by her tutor at Woodbridge School as “a musician of rare talent”. 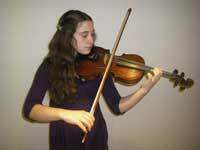 Now aged 18, Olivia has played with the Junior Orchestra of the Royal College of Music since she was 9. Now she’s been accepted at the Royal Academy of Music. 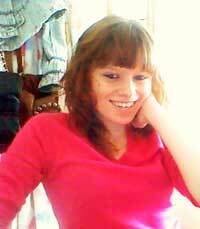 Olivia means to use her bursary to help finance a laptop together with composing software to help with her studies. 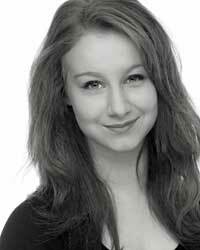 Chloë Lauren Brown from Kesgrave descends from generations of stage performers; her great grandfather was in music hall. 18-year-old Chloë has spent this year auditioning for and being recalled by many prestigious stage schools but frustratingly not quite making it. 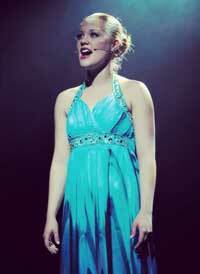 Now she has been accepted for a one-year course in Musical Theatre at Evolution Foundation College, Colchester. Chloë is confident she’s now on the road to success. Adele O’Donnell, aged 18, from Kesgrave, is off to the Bird College in Sidcup, Kent, to take a Pre-Professional Foundation Course in Dance. She has recently completed her A levels at St Alban’s Catholic School in Ipswich focusing on drama and theatre studies as well as art, design and English. But her real love has always been dance and for nine years she has been notching up ISTD exam successes at the Linda Shipton School of Dance. Adele’s longer-term aim is to be accepted onto a three-year degree course in musical theatre and she is confident that Bird College will give her the flying start she needs. Although she currently lives in Norfolk, for most of dancer Lita Garcia’s childhood her home was Lowestoft and she has performed many times at the Marina theatre. Now aged 17, Lita gained distinction in each syllabus of the Royal Academy of Dance and, this year, was accepted by six of the top ballet schools. She finally settled on the Central School of Ballet in London where she is now taking a BA (hons) course in Dance Performance. 16-year-old Elin Mairi Anderson from Worlingham has gained a place at the Rambert School of Ballet to do an honours degree in ballet and contemporary dance. She has worked long and hard for this, studying at the Saxtead School of Dance every day after school and setting off at 4.30am every Saturday to attend the Royal Ballet School’s Associate classes. She says that to go to Rambert is a dream come true. Melissa Youngs, 22, from Lowestoft, is starting her second year at the Royal College of Music, studying for an honours degree in music with special focus on clarinet, an instrument for which she has an exceptional talent. She astonished her tutor by scoring an unprecedented 93% in her year-end exams. But her old B flat instrument was deemed inadequate and her professor believed it to be holding back her progress. A clarinet of the required standard was well beyond Melissa’s means hence her application for funding. 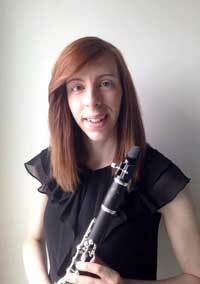 A FESPA bursary finally put it within her grasp and Melissa is now delighted with her new clarinet. 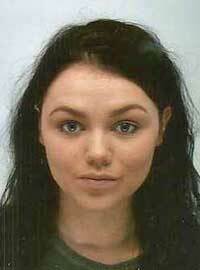 A career in forensic science beckoned for 19-year-old Lowestoft girl, Abby Codling. She finished her course at 6th Form College with distinguished results. But the closer that career decision came the more certain Abby was that the life she really wanted was that of a dancer. Ten years with the Silhouette Stage School, latterly as teaching assistant, had given her a grounding in all the dance disciplines and she wasn’t about to give that up. She was thrilled to be offered a place on a one-year preparation course at Evolution Foundation College in Colchester and has been working flat out to raise the £6000 costs. FESPA has been happy to help. Soraya Walding from Shadingfield is only 11 but her tutors are adamant that she has a gift for dance well above the norm. Now she has gained a place at the prestigious Tring Park School for performing arts where, as well as intensive courses in ballet, tap and modern dance, drama and singing, Soraya will be fitting in a normal academic school career. Her family have made huge sacrifices to fund her at Tring, confident that hers is a rare talent worth nurturing. Her Tutor agrees: “It is very apparent… she will achieve great things… one to look out for in the future”. 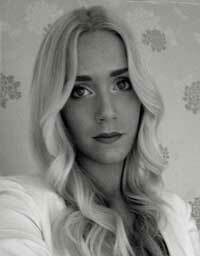 Off to the London College of Music to do a BA (hons) degree in acting is 18-year old Emily Cook. Her home is in Aldeburgh and she regards herself as fortunate to have attended Thomas Mills High School in Framlingham which offered her extensive opportunities to perform. Emily is a real all-rounder, excelling in acting, song and dance. 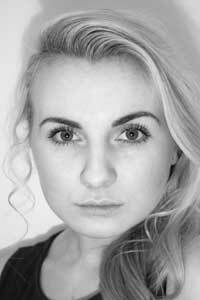 For the last two years she has been honing her skills while taking an extended diploma in Musical Theatre. 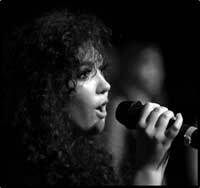 Singer Lily Hales (Ayers is her performing name) from Carlton Colville is 19 and off to Leeds College of Music to take a BA honours course in jazz and classical music. She has just completed a comprehensive music A level and music production BTEC course at Lowestoft Sixth Form College. Music is both work and recreation for Lily. She sings classically with Auriga Capella, an all-female Beccles choir and has been the vocalist with her sixth form jazz band as well as singing at many high-profile local charitable events – particularly ‘Suffolk Family Carers’. This charity is close to her heart as she has been her mother’s carer since the age of nine. She has even duetted with the charity’s patron, Ruthie Henshall. All this as well as horse riding and swimming for her county. Lily is the first of her family ever to get to uni and she is eagerly looking forward to getting stuck into her course. Eliza is just 13 and attends Farlingaye High School in Woodbridge. Her music teacher describes her as “a superb musician”. She sings in the school choir and plays in the school Sinfonia orchestra which, this summer, toured Italy. Her parents have a folk band and Eliza sometimes joins them on stage. So dedicated is Eliza to her music that she was determined to study at London’s Guildhall School of Music and this summer she was rewarded with a place in the Guildhall’s junior department, studying violin and piano as well as being coached in ensemble work and composition. It is a major commitment for any teenager, involving travelling by train to London and back every weekend - 33 journeys in a year. A big commitment for her Mum and Dad, too – in both time and money. 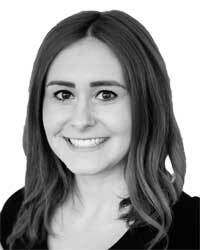 FESPA is delighted to help with some of the overheads and we look forward to following Eliza’s progress. Remember Maddie, who was awarded a FESPA bursary two years ago when she embarked on a diploma course in Musical Theatre at Laine Theatre Arts School in Surrey? Those Friends who attended the FESPA Student Showcase Evening last year will also remember Maddie’s compelling rendition of ‘Gimme, Gimme’ from Thoroughly Modern Millie. This Autumn Maddie started on her final year and our selection panel made the unusual decision to award her a second bursary. Last summer Maddie received the bombshell news that, as a Laine student, she no longer qualified for housing benefit. Not many months later, her mother had to leave her own job for health reasons. Maddie was only able to continue her studies by getting a weekend job in a noodle bar. Jobs of any kind were hard to find in Epsom and Maddie was determined to hang on to hers when she went home to Norfolk this summer. So every weekend she rose at 5am, bussed her way down to Epsom to start her weekend’s work, paying her landlady one night’s rent before starting on the journey home. A total of 11 hours travel every weekend! Travel and rent left nothing out of her wages but she kept her job for when she returned to Laine this Autumn. Maddie was thrilled to get her first professional job in panto last Christmas and, in this final year, she is looking forward to a string of auditions all over the country. It could be her most expensive year yet. We hope our contribution helps. 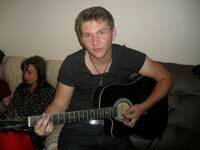 Heading off to Durham University’s Music Faculty this Autumn is 18 year old George Cook. 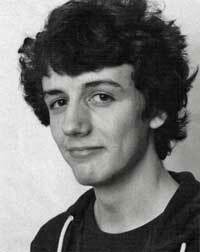 He was Head Boy at Woodbridge School where he held a music scholarship. His singing tutor describes him as “nothing short of a model student” achieving Grade 8 (distinction) in singing as well as a diploma in flute. 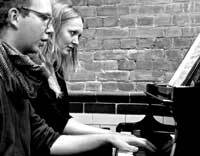 He has been a member of the Aldeburgh Church Choir and Aldeburgh Young Musicians. But it has not all been music; as Sergeant in the CCF and a member of his school’s first teams in both hockey and Cricket, George is nothing if not well rounded. George tells us he is delighted with his bursary which, happily, turned out to be precisely the sum he needed to purchase a laptop. At the time of writing he has already joined the university chamber choir and is first flute in the Symphony Orchestra sing. He has promised to keep us informed of his progress. Her course leader at Norwich City College describes 19-year-old Emily from Lowestoft as “one of the most dedicated students I have ever taught… She eats and sleeps theatre”. Her academic achievements support this, with distinctions all round in her BTech courses in Dance and Musical Theatre and a Norfolk Scholar Award this year. A year ago Emily was offered a place on the foundation degree course at the prestigious Guildford School of Acting studying Musical Theatre but sadly had to turn it down lack of funds. No student loans were available and, although her parents offered to contribute to her accommodation costs, Emily needed to fund the course herself. After a year working to build up her fighting fund, and a little help from FESPA, she finally set off for Guildford this autumn. We wish her well. Charley Peers, 17 from Bungay, has just started a BA Hons course in Professional Dance and Ballet at the Central School of Ballet. She Has been training under Sandra Hartley at the Saxtead School of Dance and as a CAT (Centre for Advanced Training) student at Dance East. 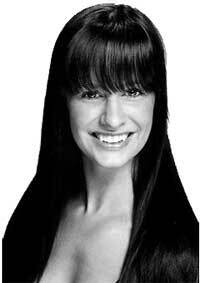 She has also completed a one-year training course with the Royal Ballet School as a senior associate. Charley’s Dad died when she was just 5 and her Mum’s salary as a professional carer is limited. Although she will be able to call on student finance for her accommodation costs, there is the London cost of living to consider as well as a daunting list of essential extras, not least those all-important shoes - pointe shoes and soft blocks, canvas shoes, jazz shoes and specialist Spanish shoes and that’s just for her first year. “My dream,” says Charley, “is to become a professional ballerina and join a ballet company and I will work as hard as I possibly can to achieve this, I am totally committed to doing this.” Do keep us posted, Charley! Kessingland-born Andre (19) has been attending the sixth form of Sir John Leman School in Beccles. Andre is a gifted and determined student of performance and to his huge credit, he has succeeded in gaining a place studying Drama and Musical Theatre at the University of Cumbria. He has spent weekends and holidays working in supermarkets and delivering leaflets to help supplement his family’s limited income in order to help cover the costs of the course and of transport to and from Cumbria. FESPA is delighted to be able to contribute. Alex (18) has just started an honours degree course in acting at Northampton University. Lowestoft-born Alex was Head Girl in her final year at Sir John Leman School where she took a BTEC in Performing Arts as well as A levels in Psychology and Maths. Outside school, Alex has passed Grade 8 in Musical Theatre with Distinction and has recently achieved a Diploma in Musical Theatre from the London College of Music. A girl of well balanced interests, Alex enjoys hockey, swimming, badminton and Zumba, is an avid reader and has been an active member of her local Church. 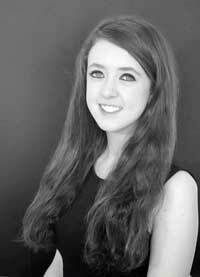 Emily is from Oulton Broad and, this term, has started a Performers’ Diploma Course at the prestigious Urdang Academy. She left Kirkley High School in 2011 and, for the past two years she has attended Norwich City College where she gained a triple distinction at Level 3 National Extended Diploma in Musical Theatre. In her final show she was Miss Dorothy in Thoroughly Modern Millie. Emily, who is now 18, has attended classes at the Venue of Performing Arts in Lowestoft since the age of 12, learning the full gamut of dance from ballet to street. She is also a talented singer. 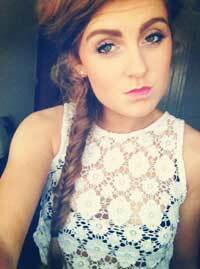 Off to Performers College, Essex, this autumn is 18 year-old Tessa from Worlingham. She will be studying the subject she loves most—Musical Theatre. 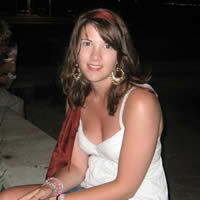 At Sir John Leman School Tessa studied Dance and Drama at A Level. Outside school hours she has attended dance class from an early age and is now at Advance 1 Modern and Ballet Grade 6. Described by her teachers as extremely focused, Tessa has often performed for charity. She even put on her own sell-out show at the Seagull Theatre, Lowestoft, raising nearly £700 for the East Coast Hospice appeal. 19 year-old Laura from Lowestoft is beginning a BA Honours degree in Dance and Musical Theatre at Doreen Bird College in Kent. She took her A levels in English, Drama and Spanish at Notre Dame High School. She has attended the June Glennie School of Dance since she was four and has competed in many national dance competitions; she even represented England at the Dance World Cup in Paris. For the last three years Laura has performed in professional panto with the OhYesitiz company and this year was invited to perform at the Latitude Festival in Southwold. 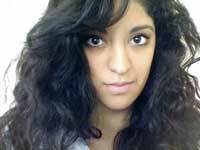 Laura has her eye on a career in choreography or teaching. This determined 20-year-old from Oulton Broad has not found the road to a top drama school easy. After A levels at Saint Felix School, Southwold, Angeline narrowly missed a place at RADA but settled for a drama Foundation year at Cambridge School of Visual and Performing Arts which she finished with distinction. Another round of unsuccessful applications, was followed by a year working in retail, trying to build up a ’fighting fund’ while also getting as much local acting experience as she could. This summer her self-belief and perseverance has paid off handsomely with a place on the BA hons Acting course at the world-renowned Italia Conti in London. 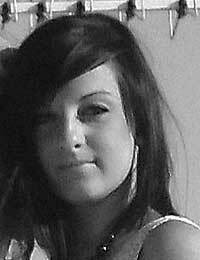 Mariella is a 17-year-old sixth form student from Lowestoft. She is starting her second year at Redroofs Theatre School, Maidenhead. As well as taking a BTEC Level 3 in musical theatre, Mariella is studying for an ISTD dance teacher’s qualification. Funds are tight—her parents remortgaged their house to pay for school fees and lodgings—and Mariella is delighted that the bursary will help pay for those essential extra expenses. Larne (18) has been attending Lowestoft Sixth Form College while also training in theatre and dance at the Venue of Performing Arts four evenings and one whole day a week. Now he has gained a place at Evolution Foundation College in Colchester— the only male of his year—where he is studying all aspects of Musical Theatre. 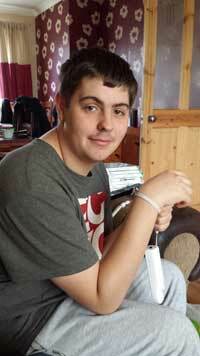 Both his parents have been stretching their financial resources to help Larne fund his course. FESPA is pleased to help. Sixteen-year-old Maddie from Alburgh, near Harleston, has her eyes fixed firmly on the West End stage. She has just started a three-year National Diploma course in Musical Theatre at the Laine Theatre Arts School in Epsom, Surrey. 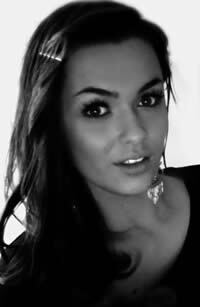 Described by her former tutor at Saxtead School of Dance as an ‘exceptional talent’ with ‘star quality in abundance’, Maddie shines in all the dance disciplines as well as possessing what her tutor describes as a ‘fantastic singing voice’. Maddie has performed four times with the English Youth Ballet and, for the past three years has attended regular classes with the Royal Ballet Associates where she recently received the Kerry Ellis Performer of the Year Award. What’s more, she has already passed her Advanced 2 RAD ballet exam – normally taken in the third year of full-time training. Maddie says she simply would not have been able to go to Laine if she had not been offered a coveted three-year scholarship. Even with it, accommodation and living costs represent a huge financial commitment for the Coelho family and that is where the FESPA bursary will undoubtedly help. It must have been a massive disappointment last year for 20-year-old Ipswich student, Catherine Dickin. She had just completed a foundation year at Performers College in Essex and was offered a place at the Stella Mann College in Hampstead. But, try as she might, she simply couldn’t raise the funds to take the offer up. But Catherine, picked herself up, took a part time job at the Suffolk Food Hall, went babysitting and helping as a dance teaching assistant, and concentrated on improving her own dance skills. Then this year, after another round of auditions she was rewarded by many offers and, crucially, by the receipt of a DaDa Award at Bodywork Dance Studios, Cambridge Performing Arts, to study Professional Dance and Musical Theatre. Suddenly, Catherine’s dream of a career in musical and dance theatre was back on track. Thanks to the DaDa award, tuition fees are taken care of but Catherine must fund all of her other costs herself which is why our bursary is so welcome. Holly has a dream… to become a professional dancer and, ultimately, a choreographer. But the road to success in Musical Theatre is tough and, though Oulton-born Holly has a distinction in the National Diploma for Dance and a BA Honours degree in Musical Theatre from Colchester Institute, she knew this was not enough. What she needed was a period of intense training at a high-profile academy. So this year, the 24-year-old determined to embark on a one-year Performing Arts course at the world-renowned London-based Italia Conti Academy of Theatre Arts. She was thrilled to be accepted but horrified at the cost – more than £14,000 for tuition alone! The place is ineligible for student loans and the sum was well beyond what her family could afford. Undaunted, Holly set about the task of trying to raise the funds herself. She even launched her own fundraising website www.hollybeare.co.uk. Among the charitable organisations she approached was FESPA and we decided to help. We are delighted to report that Holly was able to take up her offer. Music has always been a central part of life for 20-year-old Penelope whose family live in Reydon. Piano was her initial love. Later her instrument of choice became the oboe and she has latterly diversified into other wind instruments including the Cor Anglais. She won the annual music prize at Bungay High School, progressed to Wymondham College Sixth Form with a Music Scholarship, passed her Grade 8 Oboe, played with the North Suffolk Youth Orchestra, the Suffolk Youth Orchestra and the Suffolk Youth Wind Band, before heading off to Durham University where she has now just started her final year of a BA Music degree. 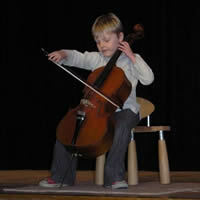 Here she was quickly selected to play with the Durham University Symphony and Chamber Orchestras. Like most uni students, Penelope has accumulated a considerable student loan. Unlike most, she has had to struggle with daunting extra costs: sheet music, oboe maintenance, reeds, reed-making equipment, concert clothing and travel costs, not to mention specialist instrumental tuition. Waitressing at Southwold’s Crown Hotel during holidays helps the finances but eats into study and practice time and, in her final year, Penelope needs to step up both of those. The FESPA bursary, though modest, will we hope, at least help to keep that Oboe in tune. After Durham? Well Penelope is determined to pursue a career as a professional instrumentalist and intends to do post graduate training at one of the conservatoires. Emile is just 16 and in Year 10 at Thomas Mills High School in Framlingham. He’s doing well at school and his GCSE results are just fine. But there’s just one goal that dominates his dreams—to be a fine actor. And he’s certainly not going to put off his training until A Levels are over. 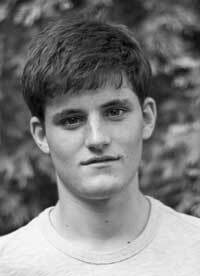 So, starting this September, every Saturday, from his home in Friston, Emile is travelling to and from London’s Barbican to attend a Junior Guildhall Drama Course. For Emile, performing is no recent fad. For many years he has acted and sung with the Jubilee Opera in Saxmundham and latterly with Aldeburgh Music’s ‘GroupA’ youth collective, as well as appearing in school productions and attending weekly classes at the Sylvia Young Performing Arts School. There’s no doubt that the Junior Guildhall represents a serious commitment—in time, energy and finance. And with two retired parents and an elder brother already away at the Royal Academy of Music, Emile’s Saturday plans are going to stretch the purse strings. We hope that our bursary will at least take care of a good few train fares. For a born dancer, 22-year-old Lauren from Worlingham has had to contend with more obstacles than most. Among other health issues, a spinal problem necessitated radical surgery a few years ago and the expectation was that Lauren would have to settle for a more sedentary life-style. Nothing doing! Lauren was determined not only to go on dancing but above all to communicate her love of dance to other young people as a teacher. To that end—and with a little help from a FESPA Bursary—Lauren has just embarked on a degree in ‘Dance in the Community’ at Ipswich University. She already has a BTEC in Musical Theatre from City College, Norwich and gained several dance teaching certificates with distinction. Every year, she performs in three or four dance shows in Norwich. And, until the Norfolk County Council cuts put an end to it, she has also worked as a Youth Worker with 13-19 year olds, an age group she claims to have a particular empathy with. Dance teaching may be Lauren’s first love but it is certainly not her only one. 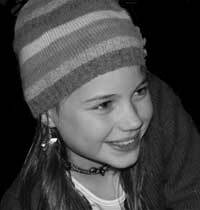 She is also a gifted vocalist and, after City College she attended Rockschool at ‘Access to Music’ in Norwich. She founded her own band in which she is lead singer and which performs at gigs and charity events all over East Anglia. She also enjoys a wide range of sports from netball to trampoline to swimming and diving. the Fisher Youth Theatre in Bungay and been in numerous school plays. Last year, she successfully completed a foundation course in Musical Theatre at Bird College of Performing Arts in Sidcup, Kent. The London Studio Centre represents a considerable financial commitment and Elizabeth was determined to contribute as much as she could herself. In the past few years she has spent her holidays working as a model for a dancewear company and as a waitress at the Swan in Barnby, at the Crown in Southwold and in the Adnams tent at the Royal Norfolk Show. 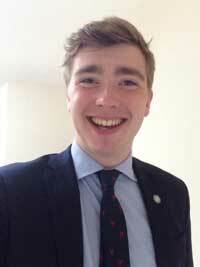 If the name sounds familiar, it’s because George’s elder brother, Will, gained a FESPA bursary last year. Both are now studying for BA Hons at the Guildford School for Acting, part of the University of Surrey. Both were scholastic high-attainers who decided to turn their backs on academia in favour of the stage. But for George the decision came after school rather than after university which is why he is a now starting his final year at Guildford, a year ahead of his older sibling. George first got the bug by joining the village panto (Tuddenham, near Ipswich) at the age of five—being promoted to ‘Dame’ by the age of 16! While his acting roles got more ambitious, he also discovered a passion for music, learning trumpet and guitar, composing pieces of his own, playing gigs at local pubs and studying with voice coach, Mary King. Not surprisingly, his first inclination was to combine these talents in a musical theatre degree but Guildford persuaded him that his real metier was in acting. George hasn’t regretted it and neither has his tutor who speaks of his “strong performing instincts” and his “penchant for humour” and confidently predicts him to be “on track for a successful career”. After two fantastically enjoyable years, George is now knuckling down to the intensive work of his final year. The FESPA bursary will, he says, make life a little easier and, above all, help pay for the all-important (and costly) “head shots” that are a necessary passport to those first professional roles. Ipswich-born Sarah, aged 19, is thrilled to have been awarded a place at the prestigious Italia Conti Performing Arts School in London on a three-year diploma course. It is a dream-come-true for a girl who has danced non-stop since she was three and can’t imagine a career anywhere but on the stage. Much of Sarah’s dance experience to date has been with the Lait Dance Club in Ipswich where she was first a student (achieving very high marks in her ISTD exams) and then a trainee ballroom and Latin dance teacher herself. Her coach describes her as having “a compelling passion for dance, shown through her life, heart and soul.” Sarah also has an exceptionally fine singing voice and she can often be heard at charity events singing with a Carpenters tribute band. Being accepted by the Italia Conti was a huge tribute to Sarah’s talent but the £14,500 annual tuition fees plus London accommodation costs, not to mention books, dance clothes and equipment, all threatened to put her dreams tantalisingly beyond reach - certainly beyond the means of her parents. A DaDa award helped considerably as did a year of working in supermarkets, shops and restaurants. Sarah, who is dyslexic, tells us that the FESPA bursary will enable her to purchase a laptop computer – an indispensable aid to her studies. Will has been accepted on audition by this prestigious acting school in spite of sporting a highly unconventional CV. Instead of the recommended requirements of five years’ professional experience or a theatre-related degree, he offered a 1st class MSci in Geology from UCL plus a departmental prize for the best presented research project of his year. 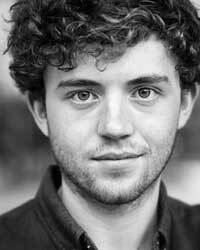 Will could undoubtedly have a distinguished scientific career ahead of him but instead he is determined to fulfil a lifelong ambition to become a professional actor. While at UCL he managed to involve himself in 20 theatrical productions as well as writing well-reviewed comedy scripts for the Edinburgh and Brighton Fringe festivals. In his third year, on secondment to Toronto University, he attended an open audition for a role in Midsummer Night’s Dream at Hart House Theatre – and got it! Then in his final year, Will landed a leading part in the UCL production of Anything Goes at the Bloomsbury Theatre and his was voted ‘Best Individual Performance’ by the University Union. The course Will is now embarking on attracts no funding so the FESPA Bursary will go a little way to covering the fees and expenses. One clear goal in his sights is to return to his native Ipswich one day and appear on-stage there as a pro! Brother and sister James and Amy, are from Spexhall near Halesworth and have been unstoppable dancers/actors since they were toddlers. They both studied with Kay Goddard at Halesworth and at the June Glennie School of Dance in Lowestoft. Both immensely talented, they have followed similar trajectories. Amy was a Junior Associate of the Urdang Academy in Covent Garden at the age of 10 and commuted there monthly for two years. She and James won places on the Norfolk Scholars Programme and performed in the Wizard of Oz at the Theatre Royal, Norwich. Afterwards, for both of them, came places at the British Ballet Organisation in Hammersmith, studying modern/jazz dance (Amy) and ballet (James). Amy did a tap dance solo at the All-England Dance Festival and both have appeared at the London Palladium and even in Brian Fortuna’s ‘Strictly’ tour at the Lowestoft Marina. Last year Amy won a 50% scholarship to The Centre of Performing Arts and has had a very successful first year, taking her first FDI in Teacher Training a year early. Hard on her heels, James has now joined Amy with a full scholarship. By the time you read this, both will have performed together in the Dance Proms at the Royal Albert Hall. Unfortunately, the courses do not qualify for Student Loans so, without their scholarships the pair would not be able to attend. Even with the scholarships, the expenses for dancers are eye-watering. Amy’s pointe shoes alone cost some £500 per year! The FESPA bursary is thus a valuable contribution for both. Ipswich girl, Iona Godbold, has many strings to her bow – she excels in acting, dance, sports and, most of all, gymnastics. 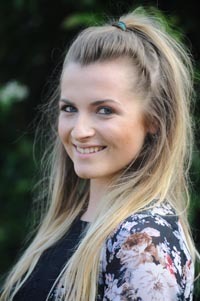 She has just completed a Foundation Year at Italia Conti in Guildford while also studying to be a gymnastics coach and qualified performing arts teacher. But Iona’s real passion is aerial performance and during the year she has been undergoing aerial training in London twice a week, using her earnings as a coach to fund her travel costs. She has also been funding singing lessons in the same way. Now, Iona is determined to spend the next three years training in a combination of gymnastics, movement and drama at Europe’s leading circus and physical theatre school, Circomedia. “My parents have already used their life savings to fund my foundation course,” explains Iona, and have no means of paying the £6,400 a year I need for Circomedia. But I have worked incredibly hard to get here and I’d be devastated if I have to give up for financial reasons”. We’re glad to report that, thanks to various donations, including a FESPA bursary, and her own earnings, Iona has started her first term at Circomedia. Charlotte went to Farlingaye High School in Woodbridge and, later, the Colchester Institute. Ever since she was three years old, all she has wanted to do is dance and as she matured this distilled itself into an ambition – that one day she would have her own dance school. Last year, Charlotte applied to the Centre of Performing Arts (then in Woolwich, now in Rochester) and was thrilled to be offered a half scholarship. However, following her father’s redundancy, the family found it impossible to fund the other 50% of the fees, not to mention the other substantial costs and expenses. Sadly Charlotte had to decline the offer of a place. Instead, she decided to find a job and work as hard as she could and save as much as possible with the hope of applying again a year later. She took on two bar and waitressing jobs while also keeping up her dance classes at the Coral Stebbings School of Theatre Dance. In December 2010 she started the audition process again and was duly offered a 50% scholarship for all of the three-year course. There still wasn’t enough in the bank to cover the first year so Charlotte decided to mount a fund-raising dance event, with part of the proceeds going to charity. 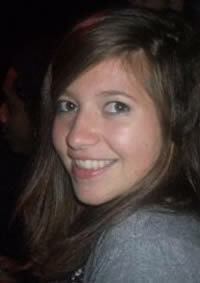 FESPA was pleased to be able to offer a top-up bursary and we are delighted to report that she has started her course. 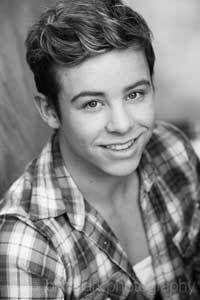 Off to Epsom to study Musical Theatre at the Laine Theatre Arts School is Oulton Broad-born Ross Carpenter. 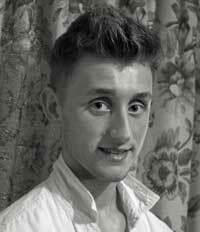 Ross was always heavily involved in his school productions at Kirkley High and was a keen member of the Lowestoft Players while also attending the Louise Elizabeth School of Dancing in Lowestoft. There he took exams in ballet, tap and modern Jazz dance and excelled with honours in all of them. Ross has always had to work hard at weekends and during school holidays to fund his passion for dance. He was a paper-boy, helped at an adventure play school, worked in McDonald’s and, this year, spent the summer working at the Holiday Camp at Great Yarmouth. Fortunately, Laine Theatre Arts have offered Ross an award guaranteeing him full funding for his training. But there is still accommodation, and expenses to find and it is to be hoped that the FESPA Bursary will help in some small way towards these. If the face looks familiar, you are probably from the Lowestoft area and remember 18-year-old Charlotte’s ‘coronation’ as the Lowestoft Journal’s Carnival Queen 2009. Charlotte, from Carlton Colville, describes herself as having a “passion for drama” and being “fascinated by the creative process”. For as long as she can remember she has been determined to be an actress whilst also excelling academically in a wide range of subjects. At school she took every opportunity to participate in theatre and music projects and was also an active member of the Gorleston-based drama group, Dasmagrik. Having successfully completed her A levels at East Norfolk Sixth Form College, Gt Yarmouth, this summer she was amazed and “absolutely ecstatic” to be offered a place at RADA on their one-year Foundation Course in Acting. No happy ending in sight yet, though! Charlotte is not from a greatly moneyed family and course fees, payable up-front were an eye-watering £11,000; that’s before you take the cost of living in London into account. Charlotte herself put all her personal savings into the pot as well as taking out a student loan and her father helped heroically by selling his beloved motorbike and caravan. It was still touch and go and FESPA has been delighted to help Charlotte finally attain the total required. Her energy extended beyond the stage into sport; she excelled at kayaking and scuba diving and gained a Silver in the Duke of Edinburgh Award Scheme. A gap-year followed during which Emma gained work experience with the BBC, working with the post-production team on Doctors, taught English in Thailand and did a variety of bar and waitressing work. Then, this September she started her first year on the Drama course at Exeter University. 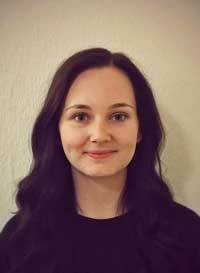 Francesca is in her second year at Bristol Old Vic Theatre School, reading for a BA in Stage Management and Technical Theatre. After her all-girl schooling, her first year represented a rude awakening from her dream of uni as a world of freedom, boys and parties. She found herself working solidly 9am to 6pm every weekday while helping to lug sets around at weekends. 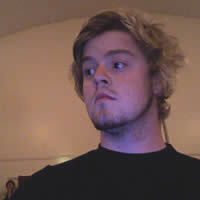 By coincidence, Alun is also on the Bristol Old Vic BA Stage Management Course where he has just begun his first year. 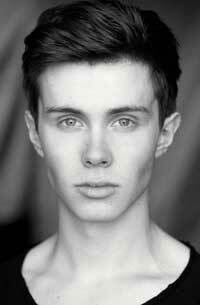 He has been actively involved in drama since he was seven and studied it at A level at Mill Hill School. Alun has worked with Julia Sowerbutts’ theatre company in Walberswick and with Jim Laws Lighting Company but it was when working as ASM with the Jill Freud Company that he decided that stage management was for him. Alun has many leisure and sporting interests including fly-fishing, music, tennis, swimming, cricket and rugby in which he played for his school’s First 15. He was ‘Head of House’ at Mill Hill where he also held the rank of Colour Sergeant in the school CCF. Maxim has already won many awards at local and national music events. Although his studies at the Yehudi Menhuin School are part- funded by grants, it is obviously important that a young man of his age should spend weekends at home. The FESPA award will go some way to helping with his considerable travel costs.